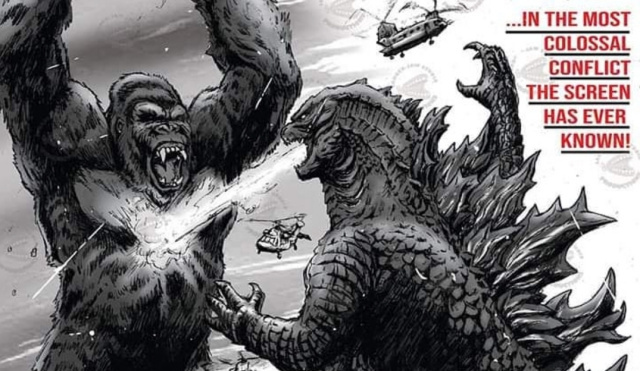 Will Godzilla vs. Kong Take Us Back to Skull Island? 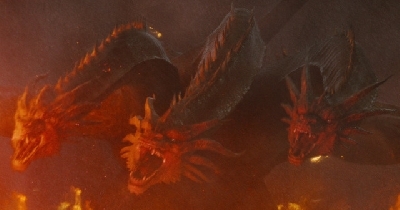 The corpses of Kong's parents were first seen in 2017's successful Kong: Skull Island, the second entry in Legendary's Monsterverse. 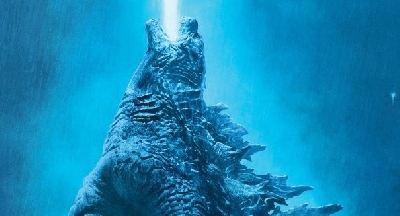 Currently in pre-production, Godzilla vs. Kong doesn't start shooting until this fall. 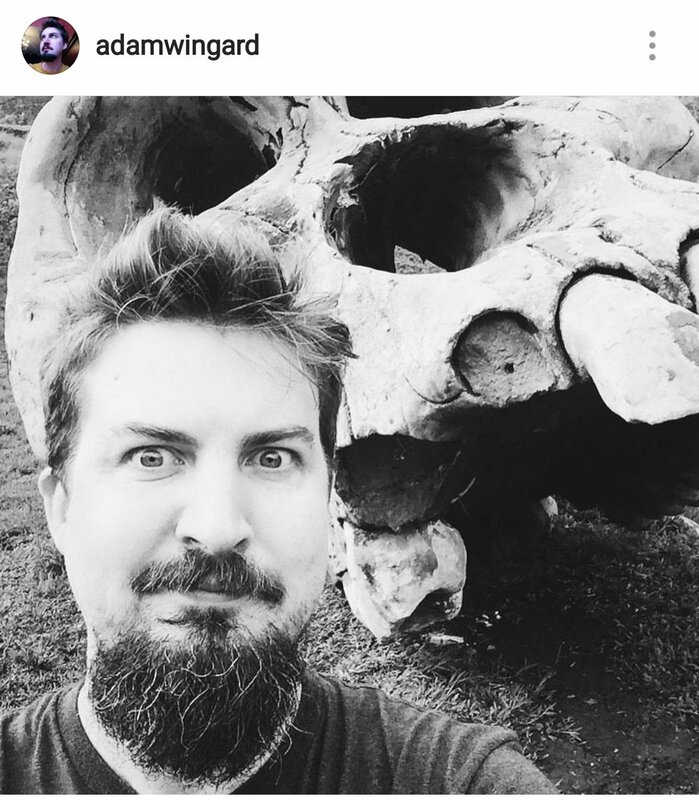 There's no confirmation that the prop will be used in the upcoming Monsterverse film, but it does beg the question: What was Wingard doing with it? Is it being used in the film? Will we see a return trip to Skull Island? Was the skull excavated by Monarch? 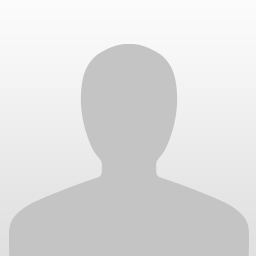 Or did Mr. Wingard simply happen upon the prop and thought it would make a neat selfie? Wingard leaves the description blank, but it's certainly got the hype train for Godzilla vs. Kong started early. Godzilla vs. Kong is directed by Adam Wingard based on a writers room story led by Terry Rossio. Alex Garcia is producing. The film will hit theaters May 22nd, 2020. 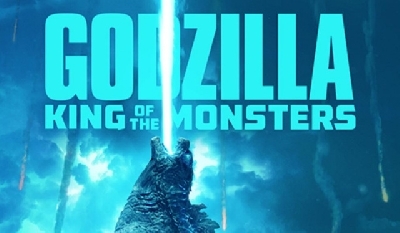 17 Fan responses to Will Godzilla vs. Kong Take Us Back to Skull Island? "...2017's successful Kong: Skull Island..."
And yet, the funny thing is, if anyone seeing this looks online for the reviews on the quoted movie, most of them will say otherwise. Lol. What do you mean? Most of the reviews for Kong: Skull Island were positive--In fact it practically got the same average scores from critics as Godzilla '14. Additionally, it made more money worldwide than Godzilla '14. 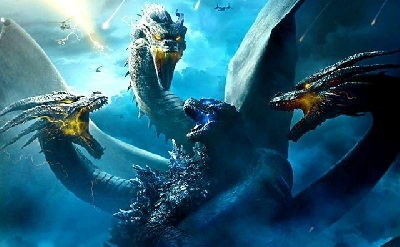 Godzilla made $529 million, Skull Island made $566.6 million. I meant the ones that came immediately after it's release. You know, the ones that came out during what you call the "honeymoon stage". Anyway, I feel like it's the only logical thing to do since honestly, how is modern technology going to go through the storm, capture Kong, carry him away, and take him to a city without getting damaged? It just seems ridiculous. So I'm actually glad it takes place on Skull Island. It's only speculation. This is not confirmation that it takes place on Skull Island. But if you think about it, wouldn't you agree it would now be impossible to carry Kong with modern aircraft through a storm that almost took down helicopters in the 70's? That's of course assuming mankind somehow is somehow deliberately responsible for taking him off the island. I don't want to assume anything as truth. We need a bit of Skull island in the film to start, man can't force this Kong to do anything. He is a Greek God at this point. Godzilla may invade or Kong may see him swimming and get curious. Either way this movie ends in New York city with the empire state building being destroyed and Godzilla reigns supreme in the end. They better not cheap out on the destruction in these next films. 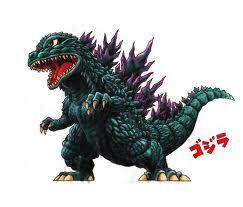 Godzilla was only seen to manually destroy two buildings in 14 and both were on accident. Godzilla wins and we see cities actually get busted instead of a million ways to avoid the work. We got the tech and the time here, I hope they use it well. I wouldn't be surprised if Godzilla vs Kong took us to Skull Island, even if it was only for a few scenes. It is Kong's domain, his kingdom. They gotta get him off the island somehow. We can't just have him showing up out of nowhere. 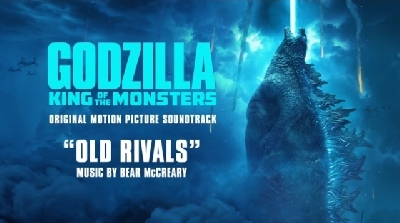 My speculation is that after King of the Monsters, Godzilla along with possibly Rodan and Mothra go to Skull Island to live peacefully and avoid mankind and wouldn't ya know it, there's a big gorilla that doesn't take kindly to strangers. According to Monarchs timeline, a team does go back to see what has happened to Kong. Maybe they will use some kind of flashback sequence? 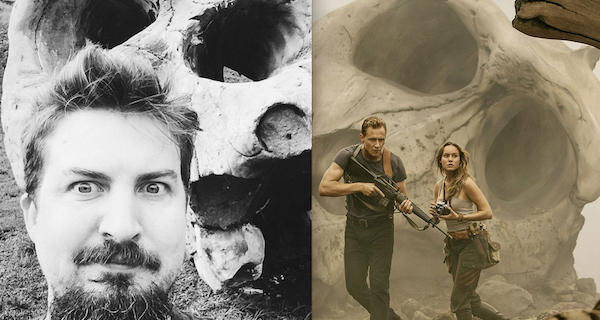 Im sure there will be scenes with Kong on Skull Island. I hope they do travel away from it though. I hope the New York battle plot does really take place in the final treatment. This movie needs a big city battle sequence for the final showdown. You know, I'm reading the previous comments and I'm thinking, "Wait. Technically, the Skullcrawlers aren't extinct. 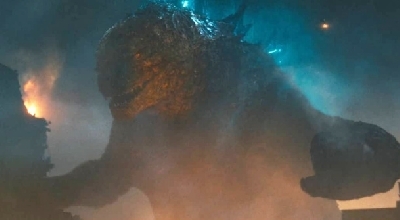 So what if we get a scene where Godzilla, on Skull Island, fights and defeats multiple giant Skullcrawlers, ones that are similar in size to 'the Big One'?". Who else thinks this should happen on the big screen? I would not be against it. But the Big One is killed, and Kong killed the rest. There is nothing confirmed that there are more Skull Crawlers on the Island. As far as we know they are extinct. But it wouldn't be hard to write that in there, to show off Godzilla or Kongs new strength and size against them. However I think it would be more interesting to show a new monster on the island for them to fight. 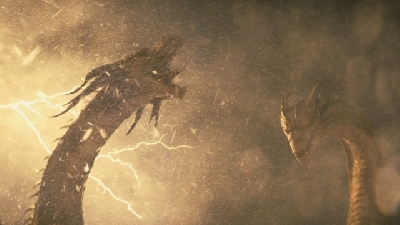 We already have scene the Skull Crawlers at their "biggest", it wouldn't be a big scene if Kong or Godzilla just simply stomped them out with their size against the Skull Crawlers. Give us something new. You mean like a fight between either Kong (or Godzilla) and an original dinosaur kaiju, similar to a T-Rex, V-Rex, or Gorosaurus? ^sure! why not? Just something new other than the skull crawlers. The Skull Crawlers had its turn now make way for even bigger monsters.